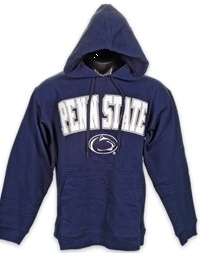 I just know I’m going to hear this today…Mom, how could you put up a Penn State sweathshirt on your site. This coming from a Pitt athlete. Sorry, Meg..a deal is a deal and Pitt wasn’t a school they were selling at a great price. But, if you are a Penn State fan or one of the other 47 NCAA schools they have on sale, then you can score a great deal on an NCAA fleece hooded sweatshirt. They are almost 60% at only $14.99 (org $35) at Finish Line. Plus you can ship to your store for Free and save on shipping charges. So search for your favorite school while I go get yelled at by my daughter. I’ll have to remind her that her cousin goes to Penn State and we have to share the love around the family. Yeap, that sounds like a good argument.